QStar offers a wide range of Digital Archiving File-based Workflow solutions. The media and entertainment industry comprises a variety of activities, from traditional print media to television, radio, film, video games and advertising. Content creation is both time consuming and expensive. The capacities of digital assets continue to grow as film and photography use higher resolutions. Digital archives must securely protect these valuable digital assets and still allow content to be quickly and easily retrieved for re-use. 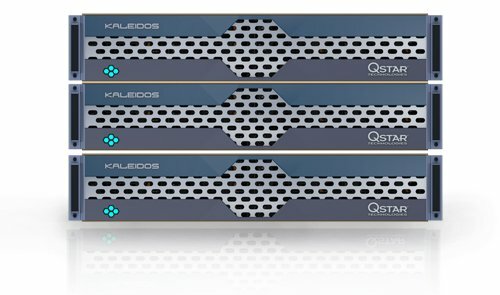 QStar solution protects your digital content while delivering a highly scalable, cost-effective archive that allows you to search for and retrieve content quickly and easily. For example, our LTFS as NAS solution enables recorded media (movies) to be transferred between different operating systems. The QStar LTFS as NAS solution can import an LTFS file created outside the main archive, for example by a remote broadcaster who has adopted this standard. LTFS media can be imported to transfer movies between different remote sites or store movies in the LTFS as NAS as a separate element. Likewise, LTFS media created within the environment can be exported and read by other systems using the same LTFS standard. The key benefit of the LTFS standard is that it enables recorded media transfers between different operating systems, applications and platforms employing the same format. This means the tape can be used just like a disk. You can even drag and drop files from folders on the server to the tape using a standard operating system. Our solutions deliver significant competitive advantage over traditional NAS/SAN solutions which are costly to run and not easily scalable for a continually growing area like broadcasting.